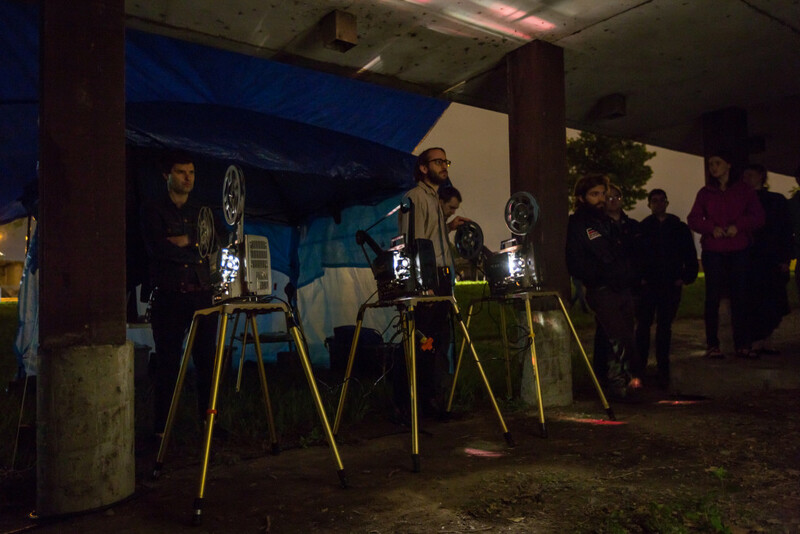 City Symphony in 16mm: A New Work for Expanded Cinema is an interactive, multi-projection, expanded cinema project at the abandoned Fuji-Ya restaurant building on the Minneapolis riverfront. Viewers experience and interact with moving images captured in the city that offer new and abstracted presentations of our environment through live, original, hand-processed 16mm films. The artists engage audiences through improvised 16mm film multi-projection, which reflects and re-creates the simultaneous stillness, order, and chaos of city life. 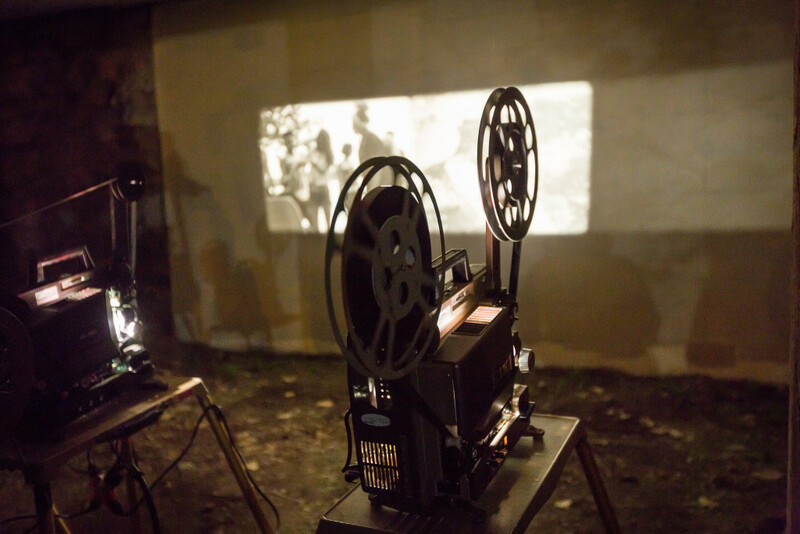 Projectionists invite viewers to participate by manipulating the analog films through rudimentary effects such as placing and moving prisms and gels in front of the projection lenses to obscure the images.